Zuckerman Spaeder LLP ranked nationally in 10 practice areas in the 9th annual U.S. News & World Report “2019 Best Law Firms” report, with five practice areas – tied for the most in firm history – receiving the publication’s highest designation of “Tier 1.” For the second year in a row, the firm ranked nationally in Tier 1 for Criminal Defense – White Collar, Regulatory Enforcement, Appellate Practice, Commercial Litigation, and Real Estate. 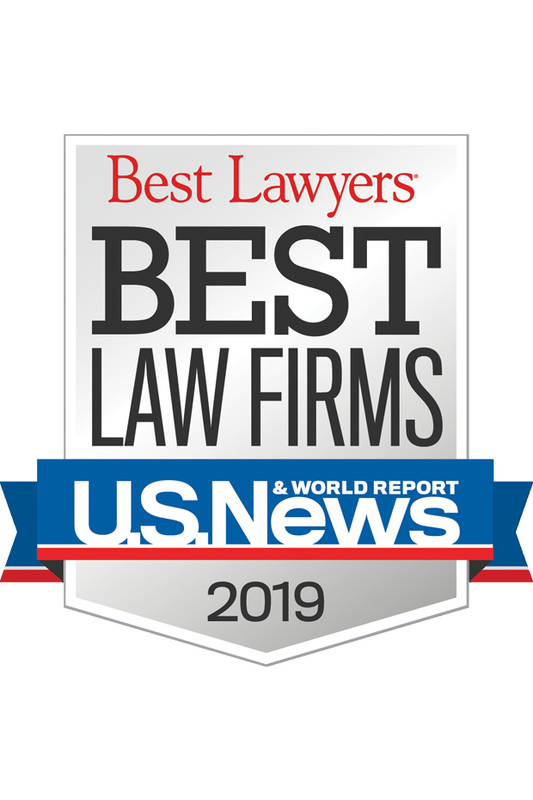 The firm’s four offices – located in Washington, D.C., New York City, Baltimore, and Tampa – received Metropolitan Tier 1 recognition in the category of Criminal Defense – White Collar, and three of the four offices received Tier 1 designation in Commercial Litigation. The firm has received top national or metropolitan ranking every year since the rankings began in 2010. In the 2019 report, the 10 practice areas in which Zuckerman Spaeder received national recognition include: Appellate Practice, Commercial Litigation, Criminal Defense–White Collar, Litigation–Real Estate, Litigation–Regulatory Enforcement (SEC, Telecom, Energy), Litigation–Bankruptcy, Litigation – Securities, FDA Law, Litigation–ERISA, and Native American Law. The firm’s four offices collectively received 18 Metropolitan Tier 1 recognitions across 13 practice areas.